Valkyria Chronicles 4, the next installment in this strategic series, is set to make its worldwide debut on September 25, 2018. If you can’t wait to get your hands on this game, then don’t! The free demo is available. 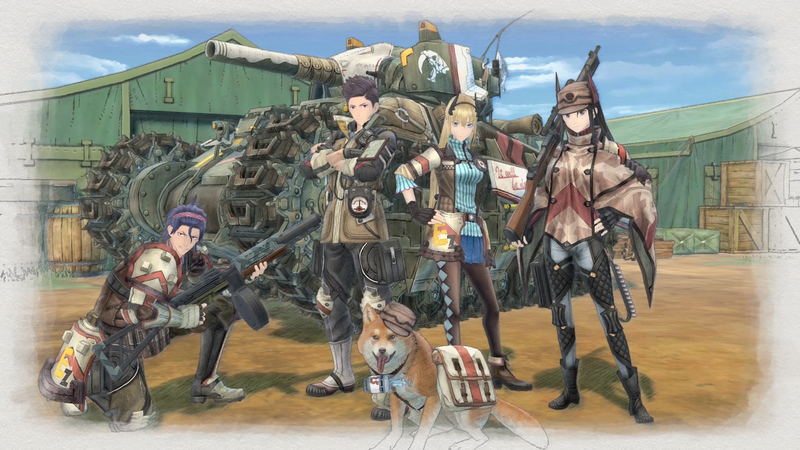 In the Valkyria Chronicles 4 demo, players will be able to experience the prologue and first two chapters of the game. Plus, there is a bonus mission that can only be experienced by playing the demo. Even if you know you’ll buy Valkyria Chronicles 4, the demo is still worth playing. The save data from it transfers over to the full game. This includes “any items obtained, class levels, earned experience, and currency.” Importing this save data also gets you an exclusive accessory. It is now possible to preorder from the PlayStation Store. Doing so gets you a bonus mission called “A Captainless Squad,” as well as an exclusive assortment of PSN avatars and PlayStation 4 theme. In this side mission, a group of Squad E soldiers find themselves on an impromptu reconnaissance operation after the squad’s beloved medic dog, Ragnarok, goes missing. This mission will be available immediately for anyone who digitally pre-orders Valkyria Chronicles 4 when the full game launches on September 25 (after reaching Chapter 10 in the main story). ‘A Captainless Squad’ will also be available as a standalone add-on item for $4.99 in late October. Will you be picking up Valkyria Chronicles 4 when it launches on September 25, 2018 on the PlayStation 4, Xbox One, Nintendo Switch, and PC?